View Poll Results: Internet Browsers - what do you use? 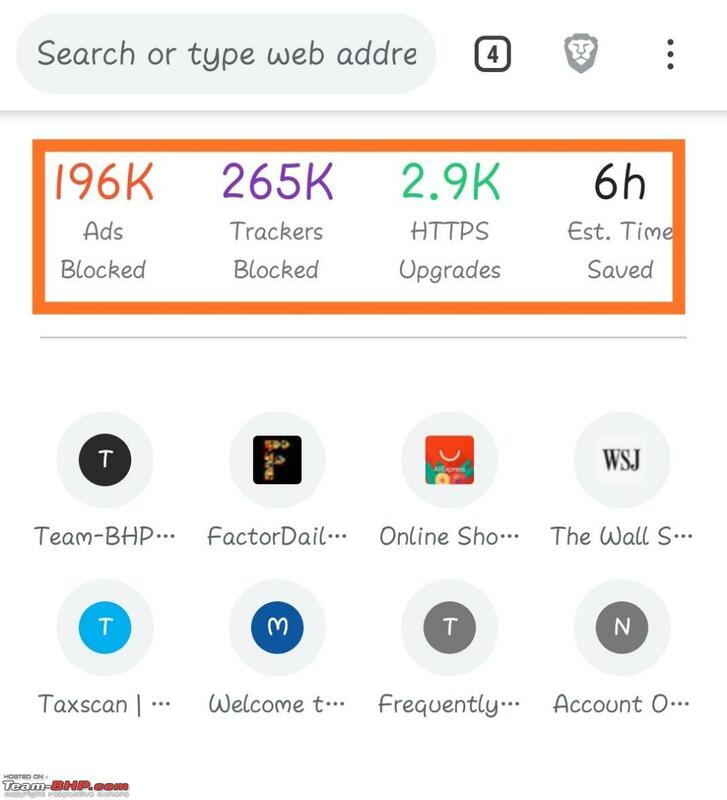 I've been using the Brave browser since last 2 months. It is built on top of Chromium. Has built-in ad-blocker which blocks most of the auto-play ads, videos (including FB videos), so kinda faster than most browsers. Pretty cool so far. Websites are loading perceptibly faster. P.S:- If you start using the 1.1.1.1 DNS servers along with Brave browser, you will see the websites loading much faster. Been on Brave (Android Thread: Phones / Apps / Mods) for nearly four and half months. Hope to continue using it; the following numbers give me some good reasons to! 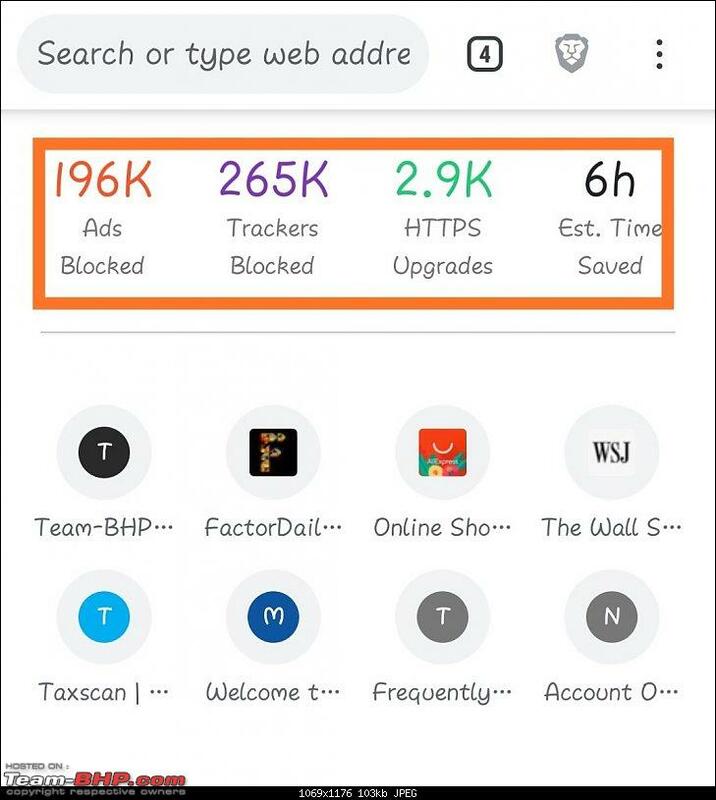 Do check the settings of brave browser. The only downside is that some (very few) websites wouldn't load properly. Eg:- I have to switch over to Chrome or FF to load my Simplilearn classes (the 'Shields Down' didn't work). Another huge plus of Brave is that it has a privacy-mode with Tor, which means you can browse the dark web with the same browser or visit websites that are blocked without using a VPN. By default most browsers do send performance data to the vendor. Firefox does. The closest I saw in Brave is an 'Automatically send crash reports to Brave' which you can disable. Chrome has the option listed as 'Automatically send usage statistics and crash reports to Google'. So, I guess Brave is less intrusive. Last edited by DudeWithaFiat : 12th February 2019 at 10:49.